COLLECT, run by the Crafts Council to showcase the best of craft from all over the world, is a show that has been going since 2003, when I was a student studying ceramics and attended in awe. 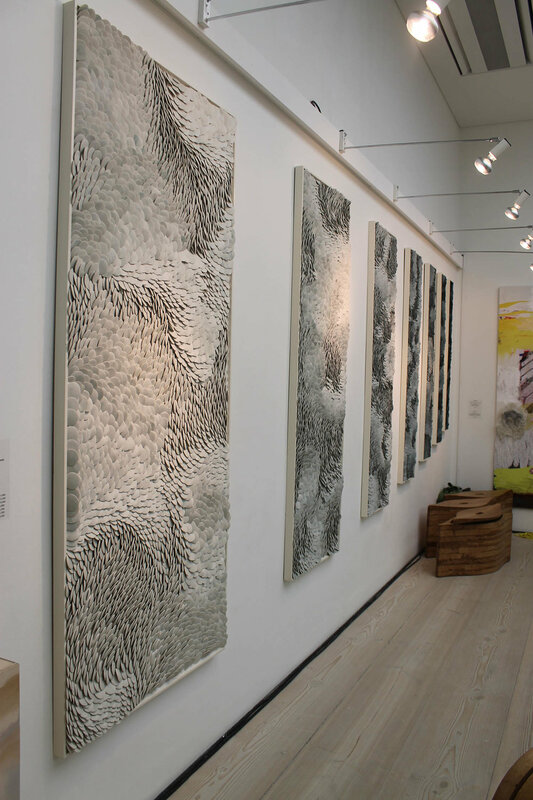 I have not missed a show since, following it from the V&A museum to its current location in the Saatchi gallery. Contemporay Applied Arts Gallery invited me to go with them this year and I was delighted to have the realisation of a long-held ambition. They selected a maker from each of the disciplines they represent (glass, furniture, textiles and jewellery) and we planned the large stand together. 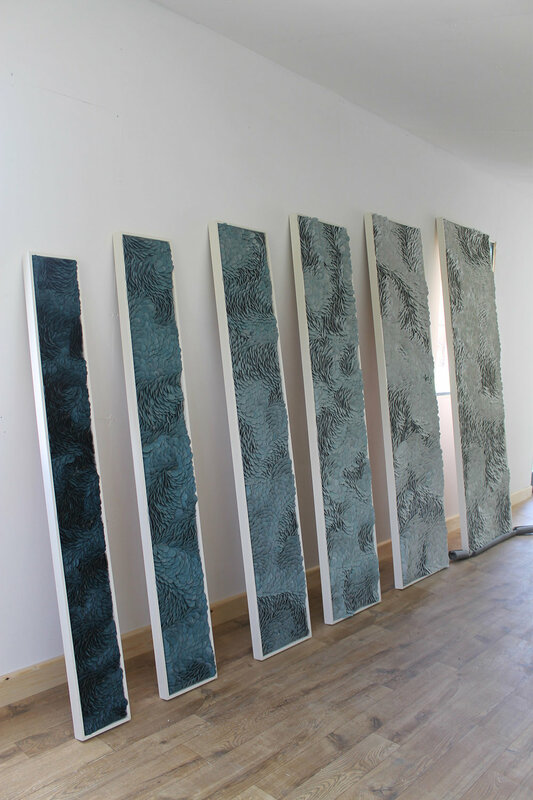 I made a series of seven panels of Flow with darkening colours and intensifying flow from large to small, along a seven metre side wall leading visitors into the space from the stairway entrance. I set about making masses and masses of porcelain beads with great enthusiasm but found the colour graduation (from very large beads in white with very faint turquoise-teal colour to very small beads in black with dark peacock) a bit of a mission to sort out. It became a quite fascinating process; the harder I tried to calculate numbers and measure weights, the more I failed; the best way forward was to go by instinct and then the installation emerged. Thank you to the hard-working CAA team for the wonderful opportunity and experience.